This tight site requires careful logistics planning. As it also abuts another active construction site which included the demolition of an existing building, certain work such as the demolition had to be completed before any work at 88 Wareham Street could start. We are working collaboratively with the abutting site to facilitate shared access to both sites. This collaboration allows us all the keep the progress going, and they have been a pleasure to work with. 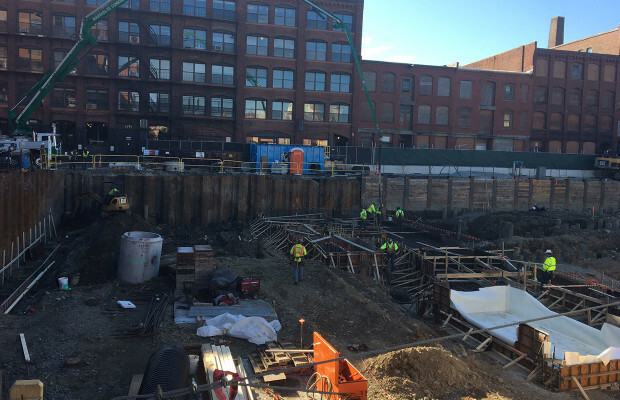 In the past few months we have driven steel sheet shoring, wood piles, micro piles, excavated the basement, and nearly all the footing is complete. 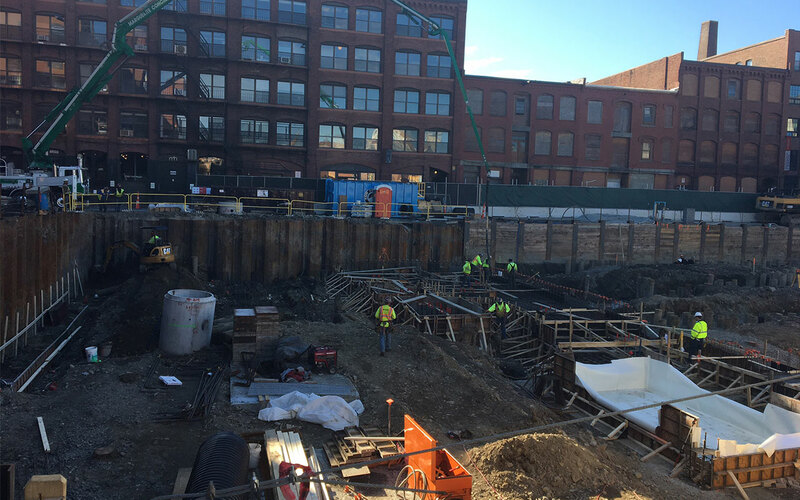 Earlier this week, we had our largest concrete placement to date: 260 yards. The concrete placement started in the morning and ran into the evening hours. In the coming months, we will be fighting the winter weather and finishing concrete foundation walls, installing underground piping, foundation waterproofing, and basement structural slab. Steel erection is to follow. We have six floors and a penthouse of steel and concrete.